The Brookers wanted to open up and update their old-fashioned kitchen, so together we decided to remove a wall and a door. We also gave some space around the large window over the sink. The natural light of both large windows and new down lights created a great space for cooking and dining. After adding cabinets to each side of the range, we painted them the lovely aqua color. The upper cabinets are painted white, which enunciates the high ceiling. We kept the integrity of this fine old house by putting an old pie-safe in there and using an old family chandelier. We decided on hardwood floors to make the whole house seem bigger. 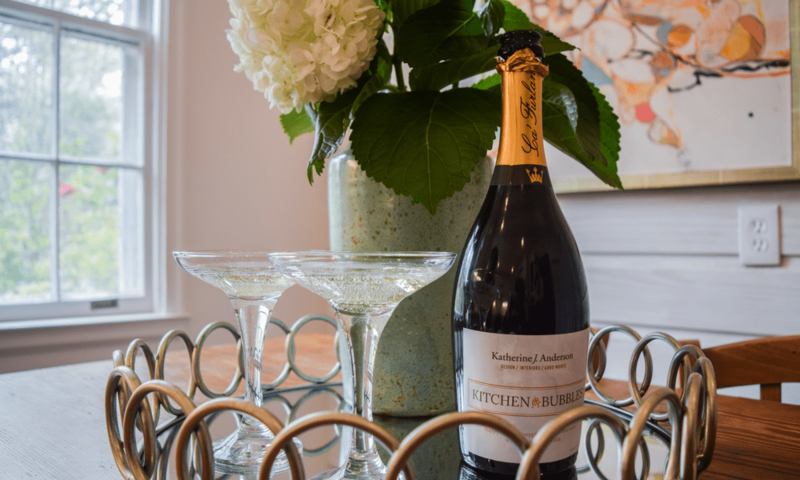 Cheers to another beautiful KJA Kitchen Bubbles!